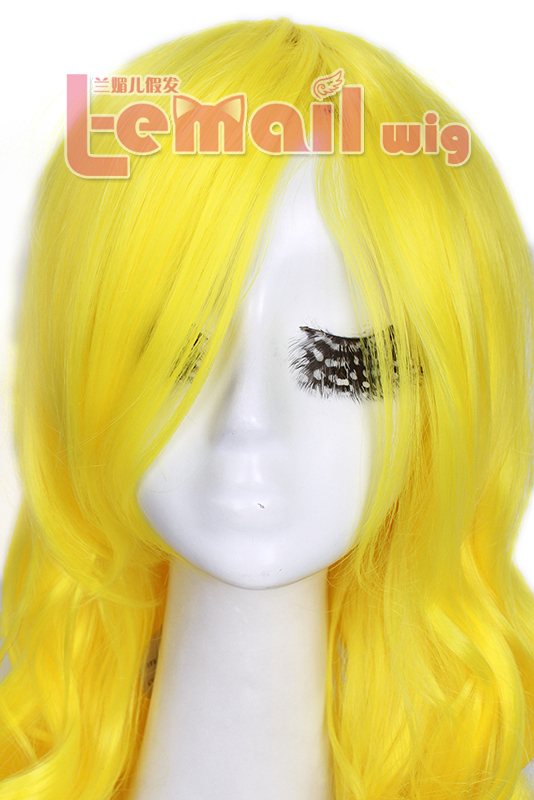 Have you ever dreamed to have a yellow color wig? Do you know that you can add even more colors to your hair? Simply a wig can make you look different immediately! You can lift up a section of hair in your wig, and sew the new hair weft to the wig cap. 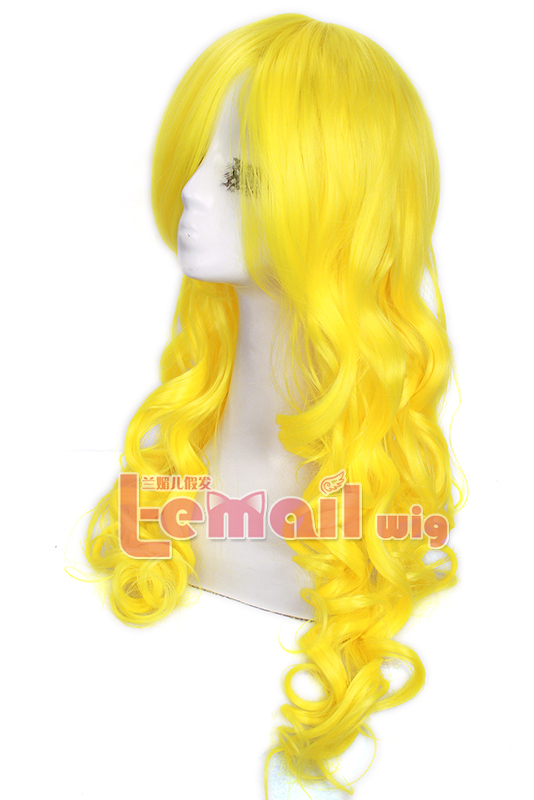 A 65cm long yellow wave wig is really outstanding, it can be used as a cosplay wig or a very charming color fashion wig! Feel hesitate in choosing a bright color wig? When bright yellow comes to both wigs and fashion, probably, honestly, you’ll get made fun of for anything “different” that you try to do. People will admire you for your daring fashion sense, and really, you’ll be absolutely adorable with a stunning yellow color wig. This will be a great way to make new friends, as long as you keep smiling and be friendly! It’s hard to be confident sometimes, but try to fake it until it becomes real. People will be jealous, but isn’t that a good thing? People want to be confident like you, and be able to wear bright color like yellow color wig or dress the way they’ve always wanted to too. So to be chic sometimes means to be special or maybe outstanding, but with the confidence to fashion, you already be the best! This entry was posted in Fashion Wigs, Wigs and tagged cheap fashion wigs, fashion wig, long wave wigs, yellow color wigs.